A surprise from my Nail Polish Fairy! Hallo polish friends! I’m here! I’m here! Things have been a little squirly with my back of late and it’s been somewhat (read horrifically) difficult to sit or stand or be any kind of productive. I’m on the mend but I still can’t sit at my desk for more than about ½ an hour at a time, so please hang in there with me. While I’ve been an invalid, one of my fabulous readers sent me a surprise package of things she was going to send off to Nail Polish Heaven. And I’m so chuffed! Look what I found inside! 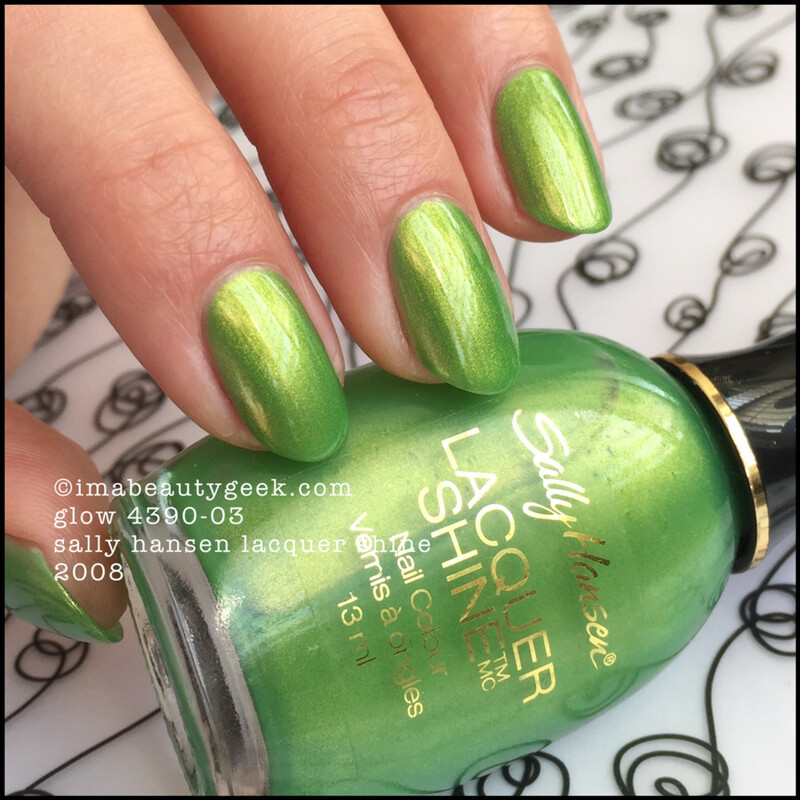 A bottle of Sally Hansen Lacquer Shine - Glow 03! Sally Hansen Glow (above). You’re looking at a polish that I think came out somewhere around 2008-ish. That’s two solid coats and really, it glows – it’s like it’s lit from the inside. 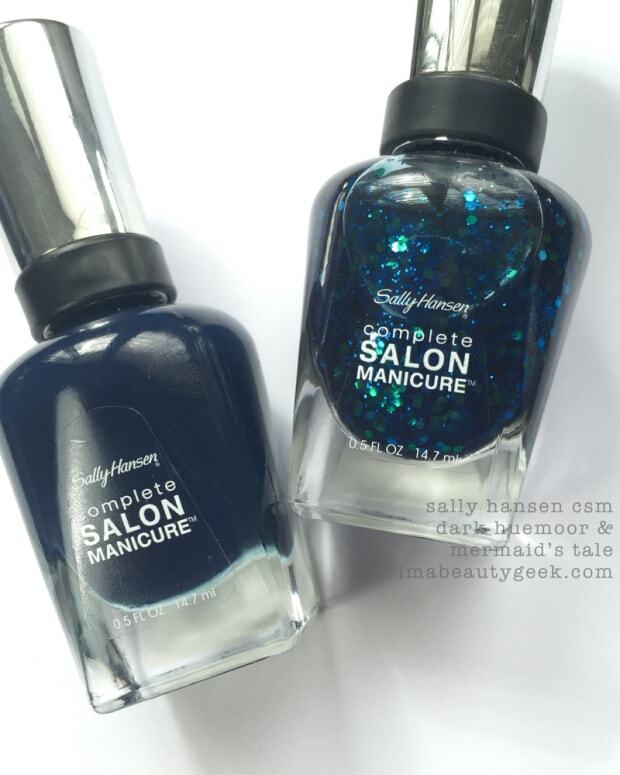 The closest thing I have in The Archives is OPI My Gecko Does Tricks, but this Sally Hansen is better – the consistency is better, it’s less streaky, and it builds to opaque much faster than the OPI does. She’s a very, very good green and I’m happily adding it to The Archives. If you&apos;re looking at this Sally Hansen Glow and thinking you need it, you&apos;re in luck! There are a few bottles still available right here at Amazon.com. See ya’ll as soon as I can!